A biosensor is a device that uses biological molecules, typically enzymes, to specifically detect the presence of a chemical or a metabolic intermediate (referred to as the analyte) in a diagnostic setting. A biosensor acts as the platform upon which a biochemical reaction, initiated by the analyte, is converted to an electric current that is accurately quantified during a subsequent step. Biosensors have wide clinical applicability. For instance, the detection of blood sugar, which is among the most frequently measured physiological variable, is achieved with biosensors. 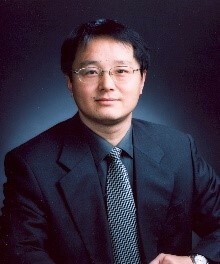 Recent years have seen rapid advancements in the use of nanoparticles, nanowires and nanotubes as biosensor platforms. These innovative nanostructures are electrochemically active, chemically stable, have large surface areas and are biocompatible – all of which are desirable attributes for developing biosensors. Of note is the observation that graphene, a substance known for its high electrical conductivity, lends itself to biosensor development due to its relative ease of manufacture together with its ability to form composites with other electrochemically active nanostructures. Early prototypes of graphene-based biosensors were inefficient for two main reasons. First, the clumping of graphene sheets reduced the accessible surface area. As a consequence, the biosensor/analyte interface was greatly reduced. Second, the restacking of graphene sheets introduced electrical resistance due to intersheet contacts. To overcome these hurdles, a research group led by Azam Iraji Zad at the Institute for Nanoscience and Nanotechnology (INST), Tehran, Iran developed a freestanding, porous 3D graphene network (3DGN) which was further modified with metal oxide nanostructures as a platform upon which an enzymatic reaction could occur. This proof-of-concept study uses the glucose oxidase enzyme for the rapid and selective detection of glucose. The 3DGN, a graphene skeleton with multiple pores, is the core of the nanostructure. 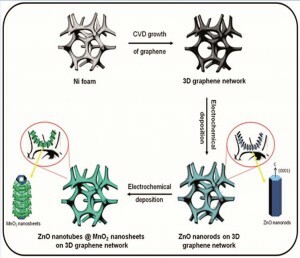 Atop the 3DGN, the researchers first grew uniformly spaced ZnO nanorods, which served to hold the enzyme in place. 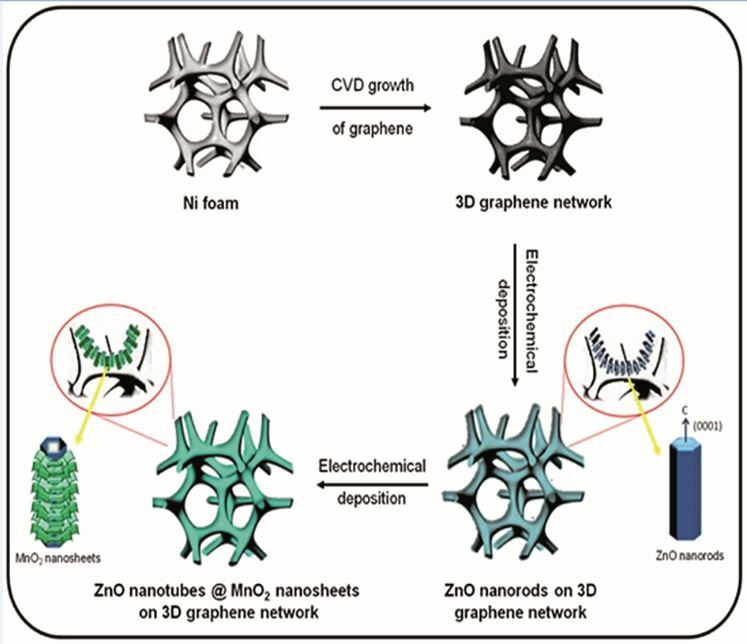 In a subsequent step, MnO2, known to be biocompatible and stable, was deposited onto the ZnO nanorods, thus forming a multilayered hierarchical structure with an average diameter of 100nm. The researchers propose that that the complex architecture of the nanostructure serves to facilitate the electron transfer process, which is the fundamental biochemical mechanism driving the enzymatic reaction. In principle, the inner parts of the ZnO nanotubes increase the accessible surface area of the nanostructure and enhance the biosensor/analyte interface. In theory, the 3DGN biosensor is expected to respond quicker and have improved sensitivity when compared to other enzyme-based glucose detection devices. The study tested the 3DGN biosensor using a method called amperometry which is used routinely in research laboratories to detect ions – the byproduct of enzymatic reactions. The study found that the 3DGN biosensors had a response time of less than 3 seconds; a value indicative of a competitive advantage over other enzyme-based glucose biosensors. Intriguingly, the study also found that the 3DGN was very sensitive and could detect extremely low concentrations (10nM) of glucose. The study strongly suggests that 3DGN biosensors could be used as an accurate sensing platform for chemicals and biomolecules. The findings further support the argument that composite nanostructures with complex architecture could find applicability in human health and beyond. You are currently browsing the archives for the RSC Advances category.